Enjoy Your Refreshing Whites Or Oaky Reds Without The Slightest Effort! Looking for an easy and convenient wine bottle opener? 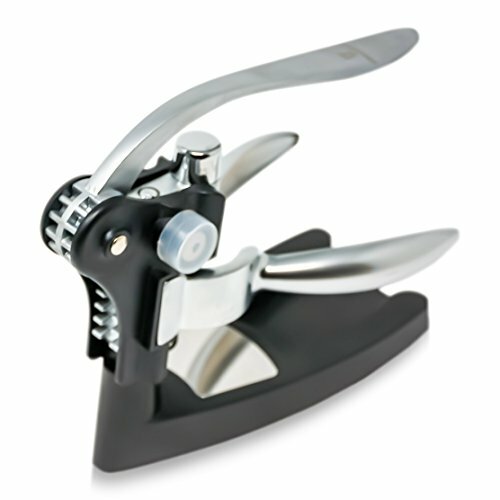 Need a durable and dependable corkscrew to help you open bottles in seconds? Want to find the perfect gift for your family, friends or neighbours who love wine? Introducing The Ultimate Wine Bottle Opener By Adega Estates! There comes a moment in your life, when beer isn’t enough. You become more sophisticated and mature. That’s when you discover the intoxicating taste of wine. You start entertaining your friends and hosting wine-tasting nights. Your French or Napa Valley wines are ready to be served. But opening that bottle is way harder than you imagined. That’s because you’ve been using the wrong wine opener. Until now! The Adega Estates luxury wine opener is here to help you open any bottle in seconds and never break a cork again! If you have any questions about this product by Adega Estates, contact us by completing and submitting the form below. If you are looking for a specif part number, please include it with your message.